Ancient Greeks are recorded to have played a game of tossing stone balls, called spheristics as early as the 6th century BC. Ancient Romans added a target that had to be approached as closely as possible. This game was brought to France by Roman soldiers and sailors. In the Middle Ages, Erasmus referred to the game as globurum, but commonly named as ‘boules’ and played throughout Europe. 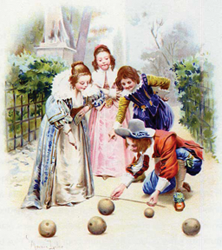 By the 19th century, the game became “bowls” or “lawn bowling” in England; in France, it was called “boules” and played all over the country. 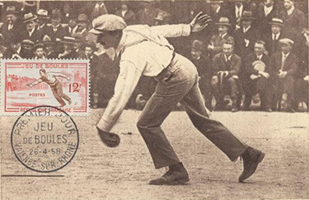 In South of France it evolved into “jeu provençal”, played on large fields with players running three steps before throwing the ball. The game was played all over Provence, usually on squares of land in the shade of trees. 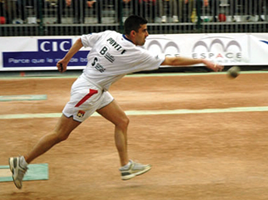 Nowadays it is still popular and completed by sport-boule competition. 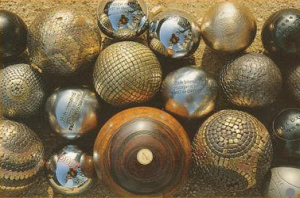 In 1904, Félix Rofritsch created the first « boules cloutées » (in wood covered by iron nails) in Marseille, under the famous name « La Boule Bleue » (the blue ball). 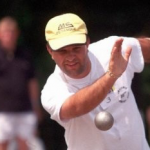 Modern Pétanque was created in 1907 in the town of La Ciotat near Marseilles by French player Jules Hugues aka Lenoir, whom rheumatism prevented from running. Pitch lenght was reduced and the moving delivery was replaced by a stationary one. 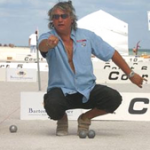 The name “Pétanque” comes from “petanca” in the Provençal dialect of the Occitan language, deriving from the words “pès tancats” (pieds tanqués), meaning “feet together” or “feet anchored”. 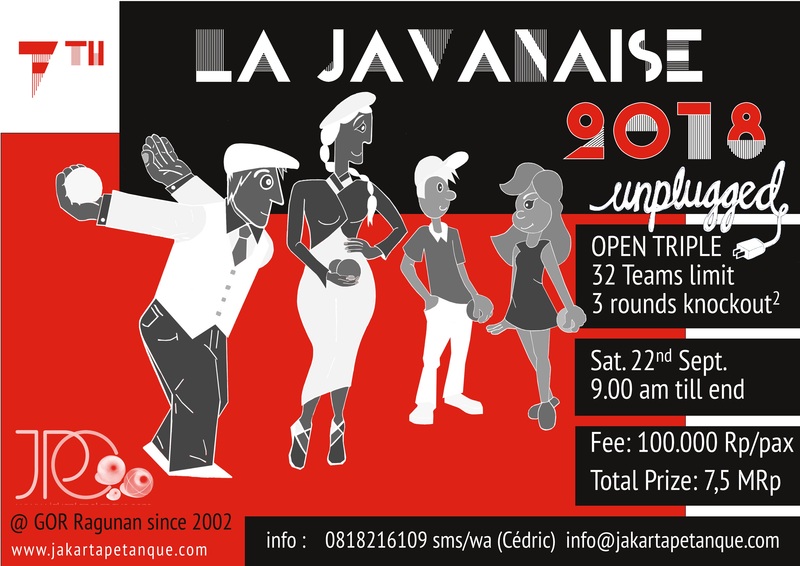 First Pétanque tournament was organized in 1910 by two brothers Ernest & Joseph Pitiot, café owners at La Ciotat. 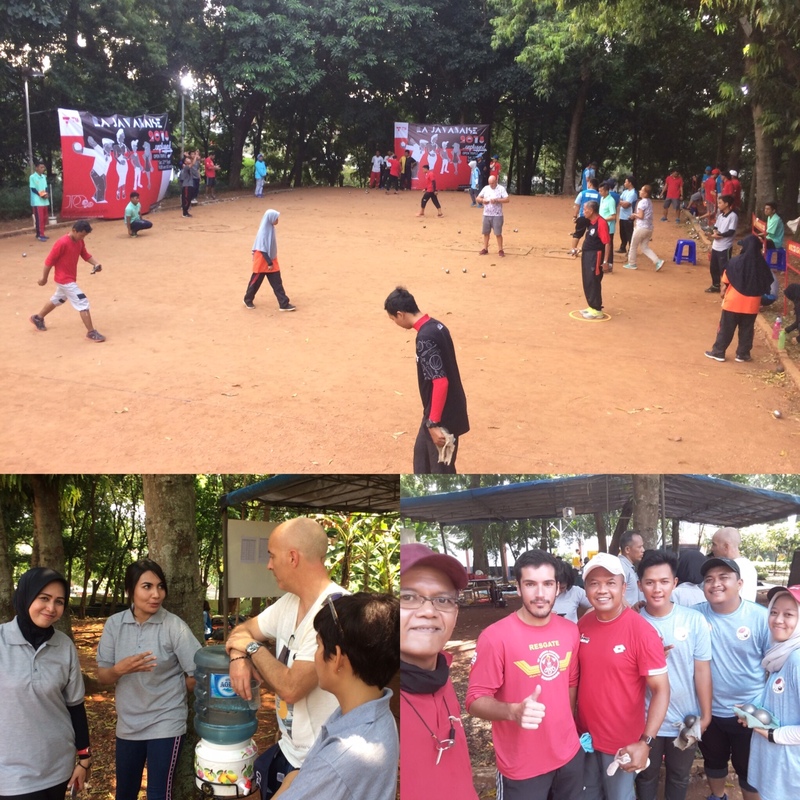 Then the game grew rapidly, and became the most popular boules game. 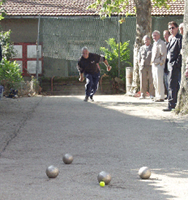 The first steel ball is supposed to have been made in 1927 in Saint-Bonnet-le-Château, France where now stands the International pétanque Museum. 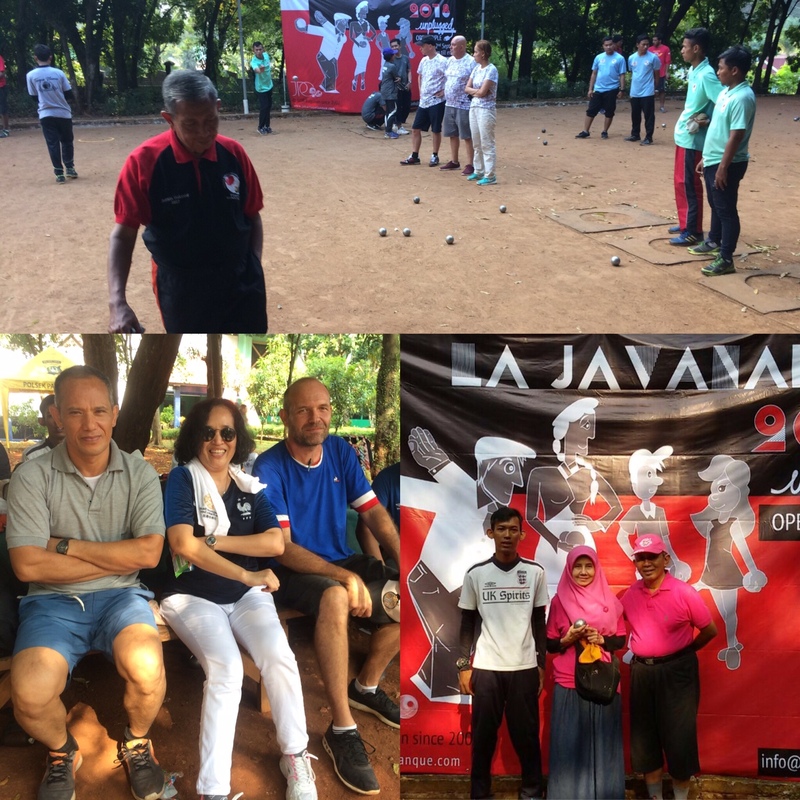 The International Pétanque Federation “Fédération Internationale de Pétanque et Jeu Provençal” FIPJP, was founded in 1958 in Marseille. 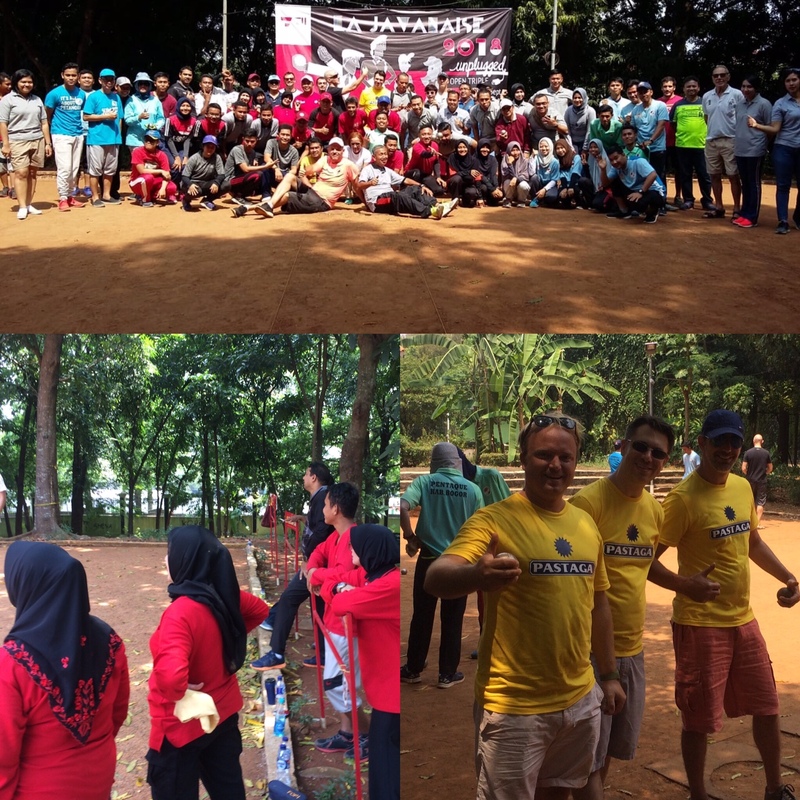 It has arround 600,000 members in 88 countries today. First World Championship was organized in Spa (Belgium) in 1959. 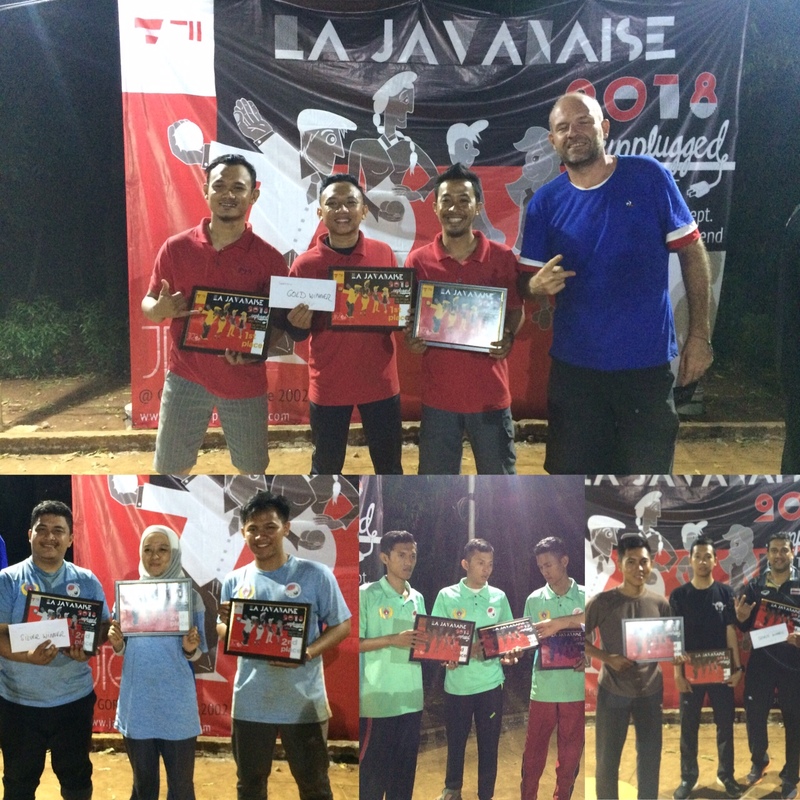 Most recent championships were held in Portugal (2000), Monaco (2001), France (2002, 2004 and 2006), Swiss (2003), Belgium (2005), Thailand (2007), Senegal (2008), Turkey (2010). 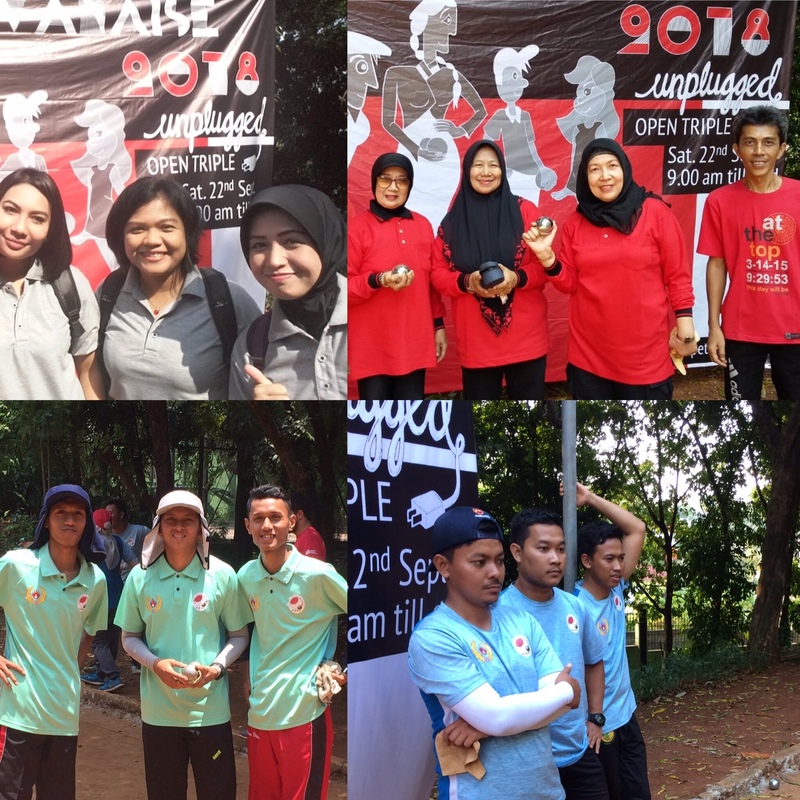 Since 2010 it is organized every 2 years and limited to 48 countries.